Our high quality rotisserie chickens have an entirely unique cooking process. 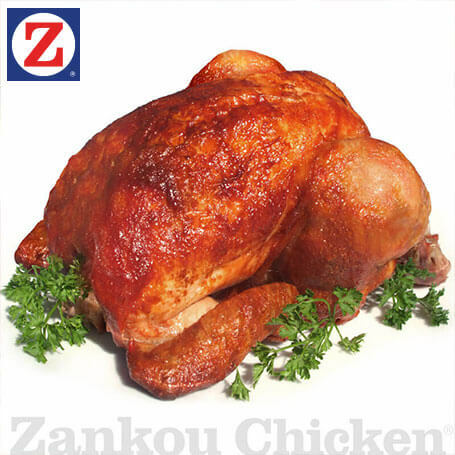 Our chickens roast for about 90 minutes in intense heat created by a specialty oven containing charcoal blocks. These blocks reflect heat; creating a scorching temperature that gives us that beautiful, super crispy skin our customers have grown to love. Try it wrapped in a warm pita with our signature garlic sauce for a delicious meal. ROTISSERIE CHICKEN: Our world famous, crispy rotisserie chicken. 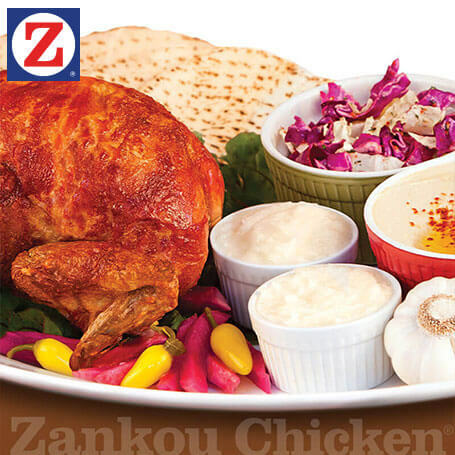 Includes fresh pita bread and our delicious garlic sauce.